Rhesus monkeys turn out to be pretty good statisticians, a study reveals. They can accurately assess which of two behaviours is more likely to bring them a reward by summing together a series of probabilistic clues. And their reasoning is reflected in the firing rate of individual neurons in their brain. 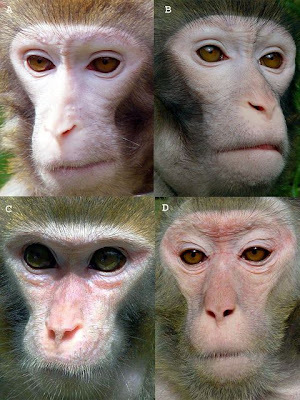 Tianming Yang and Michael Shadlen at the Howard Hughes Medical Institute and the University of Washington in Seattle, US, tested the reasoning of two rhesus macaques by showing them a series of abstract shapes on a video screen. Each shape corresponded to a different probability that a drink reward would be associated with a red instead of a green target.